John "Jack" O'Neill, Sr., 75, of Mount Holly, died Monday, November 5, 2018 at the Robin Johnson Hospice House in Dallas. He was born in Hudson County, New Jersey, son of the late Paul Thomas and Vera Waddington O'Neill. In addition to his parents, he was preceded in death by two brothers Bob and Donald O'Neill, Sr. Jack had a successful business career in Computer Sales Management. 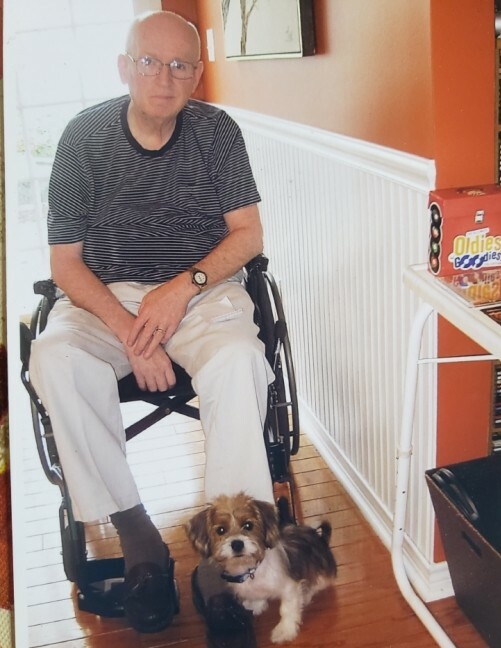 He also had a love for putting together puzzles, and although he suffered from a stroke and could only use one hand, he continued his love despite the setback. He enjoyed rides through the mountains and Blue Ridge Parkway. Those left to cherish his memory include his wife of 53 years, Carol Baranowski O'Neill; children John O'Neill, Jr. and his wife Lisa and Maureen "Mo" O'Neill and her fiancé Keith Guy; a brother Tom O'Neill; four grandchildren Hannah and Lillie O’Neill, and Mandy and Joni Wagoner; as well as his best friend and pet R.J. A gathering of friends and family will be held from 2 to 4:00 p.m. Saturday, November 10, 2018 in the Magnolia Room of Woodlawn Funeral Home, Mount Holly. In lieu of flowers, memorials may be made to Gaston Hospice c/o Robin Johnson Hospice House, 258 E. Garrison Blvd., Gastonia, NC 28054 or to the North Carolina Stroke Association at www.ncstroke.org. Online condolences may be left at www.woodlawnfuneral.org.